The abusive immigration detention centers have everyone feeling powerless, anxious and angry. Here are four things you can do to help #KeepFamiliesTogether. Donate to or volunteer at organizations that are helping bring families together. Donate to their Facebook fundraiser. Donate to their LEAF Project. Donate to their Family Unification and Bond Fund. This site splits your donations among 12 organizations including the ACLU. Coordinated by Amanda Litman, cofounder of Run for Something, an organization supporting and backing progressive millennials to run for office. Search your zip code on Informed Immigrant and a list of local organizations that you can donate to or volunteer will appear. Featured on UpWorthy, Together Rising works to place your donations in places that will make the most impact. Read this article on where they are currently giving funds to and donate here. Type in your zip code and state in WhoisMyRepresentative.com and they’ll give you a list of all your representatives to contact. However, this will give you a wide list. ContactingCongress gives specific representatives local to your area. A script to call them and tips on calling are available here. You can search “protest” on Facebook and find some near you. A few are posted on this site Families Belong Together. 6/22 A Rally to Save the Children! 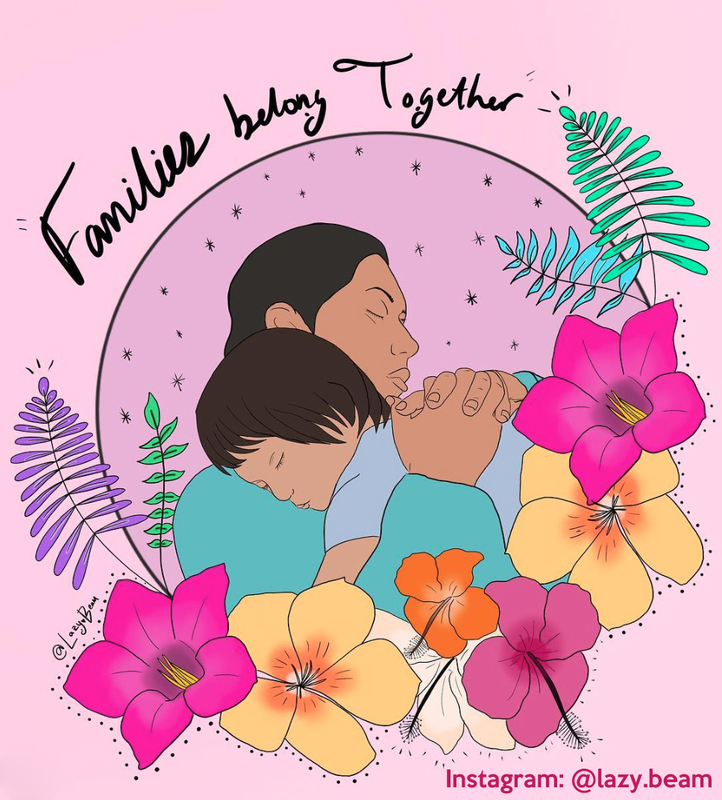 6/30 Freedom for Immigrants: Keep Families Together! Email or call contractors who are profiting and coordinating the detention centers. I am providing phone numbers as well as emails, though I recommend emailing directly to their CEO or publicist as well as messaging them on social media. Activist social media organizations Sleeping Giants and Grab Your Wallets, founded by Shannon Coulter, have written about General Dynamics Corp. and MVM Inc. as profiting from detention centers. Grab Your Wallets lists specific contact information to companies supporting or profiting from the detention centers. Email MVM CEO Kevin Marquez: marquezk@mvminc.com. “Federal Contracting databases show MVM was awarded a contract worth up to $8 million over the next five years.” – The Daily Beast. As reported on CNBC: “Just look at GEO Group, one of the country’s largest private prison corporations. It donated hundreds of thousands of dollars to a Trump-aligned super PAC, hosted its annual leadership conference at one of Trump’s golf resorts, and just after Trump’s election — its stock soared. Its shares have gained more than 8 percent this year. They also give donations to Texas congressmen who help fund detention centers. Contact page is here.“On May 22, 2018, Trailboss Enterprises, Inc. won a $244,235,071 federal contract from the U.S. Immigration and Customs Enforcement for transportation services. The place of performance will be in San Antonio, Texas.” – Bloomberg. Hi __, I am (First and last name). I demand that you stop supporting and profiting off of immigration detention centers. I am angry that your company is aiding in the abuse and psychological trauma of children and families. It can be overwhelming trying to figure out how to help. These are just a few ways you can make a difference. If you’d like further options, see this article by Joanna Goddard. I hope this helps you feel a little less powerless and relieve some anxiety. Words by Shannen Roberts. Featured image by @lazy.beam on Instagram.